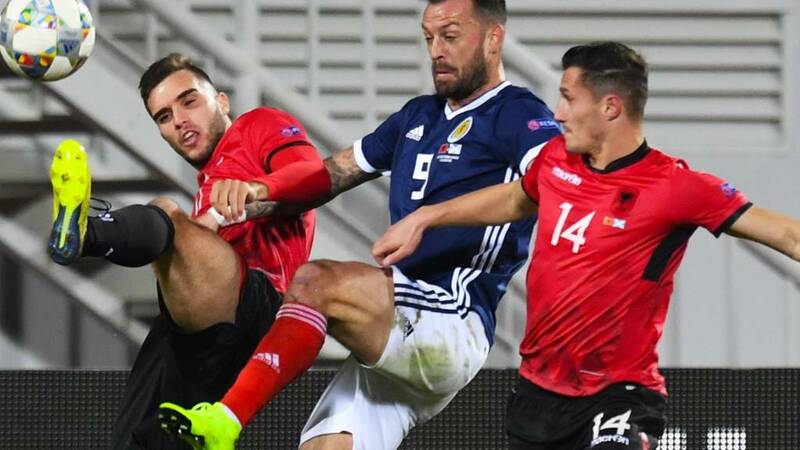 Scotland leave a dismantled Albania behind after a fine performance that shakes off the blues that were beginning to surround Alex McLeish's tenure as head coach. But, despite the thumping 4-0 win, Israel remain top of the League C, Group 1 going into Tuesday's final game on Tuesday thanks to their home win over the Scots. The visitors only need a point at Hampden to secure promotion to League B and secure a place in the play-offs for the Euro 2020 finals. But Scotland will go into that game high in confidence and belief that they can avenge their 2-0 defeat in Haifa. Join us then to find out how it all pans out. Scotland manager Alex McLeish said post match: "We go back tonight in the small hours, then we’ll take stock. “The guys are now in recovery mode. We knew watching the game that Steven Fletcher has been managing his body for the last few months, having been out for a few months, and he was a great leader of the line for us tonight. “One or two guys have tightness. Let’s hope it wears off and it doesn’t rule them out. “We had a lot of call-offs. We called John Fleck in as you know and we will get these guys wrapped in cotton wool for Tuesday night." James Forrest also tops the BBC Sport Scotland player rater. He is player of the match ahead of Celtic team-mates Ryan Christie and Callum McGregor. Celtic winger James Forrest took until his 25th cap before opening his Scotland scoring account, but has done it in style with a double that delights team boss Alex McLeish. "James has been there or there abouts in the last couple of years for Scotland," he tells Sky Sports. "He’s won a lot of caps. “He’s been in great scoring form for his club and he continued that which was marvellous to see. "He had to do a lot of tracking back to help Callum Paterson in the first half, but in the second he was fantastic going forward." Delighted Scotland head coach Alex McLeish has been speaking to Sky Sports. “I had a good feeling about it and I felt if the players brought their performance level to the game then it would be positive and that’s how it turned out," he says. “We wanted to try and be as aggressive as we could rather than side passes. Game management. That was very evident in the second half. “It was an exceptional performance from our lads. It looked like a familiarity and it was hard to single anyone out." Ryan Fraser scored his first goal for Scotland and afterwards he defended the players who had pulled out of the squad. "People were saying it was going to be an easy win, but they Albania beat Israel," he tells Sky Sports. "We came here with a lot of questions to answer and we done well. "I've called off myself, it's never nice. You never do not want to play for your country. "Scoring four goals away from home is never easy." James Forrest scored his first two goals for Scotland and tells Sky Sports: "I'm buzzing. "I've had a few chances to scored before, but to score two on my 25th cap, I'm delighted and it takes a lot of confidence into Tuesday. "You always have to believe in your ability and, when you get your chance, you need to take it because there's a lot of good players in team." Scotland went into this game with a catalogue of injury absences and facing the possibility of finishing bottom of their Nations League group. They end it on the brink of topping their section should they beat Israel on Tuesday in the final fixture. Ryan Fraser and James Forrest, twice, broke their scoring ducks for Scotland, while Steven Fletcher notched his 10th from the penalty spot. They were aided by Mergim Mavraj's moment of madness that led to the Albania captain being sent off midway through the first half with his side 1-0 down. But Scotland took full advantage with a fine team performance and they are now level on six points with Tuesday's visitors, who remain top of League C, Group 1 on head-to-head after their 2-0 win over Alex McLeish's side in Haifa. It's almost like a training game, reduced to walking pace as we head into three minutes of stoppage time. Ole, ole come the cries in the crowd. But it's not from the visiting Tartan Army. It's a bit of sarcasm from the home support who will be further disgruntled by the latest performance from under-pressure head coach Christian Panucci's side. They have been undermined somewhat by Mergim Mavraj's early red card, but James Forrest's double has rubbed salt in the wounds. Substitute Johnny Russell goes into the book for a foul as Scotland press for a fifth.